After reading, writing, and thinking so much about sustainability and energy over the past few years, it’s struck me that there are some major challenges and key opportunities currently facing the world, in relation to the energy we generate and use. The following comments are on how I’ve come to see the situation. Do let me know your thoughts. We need go get inexpensive solar power on every roof, or on as many as possible. I see this as a realistic goal over the next couple of decades. It may not be just on roofs of course. 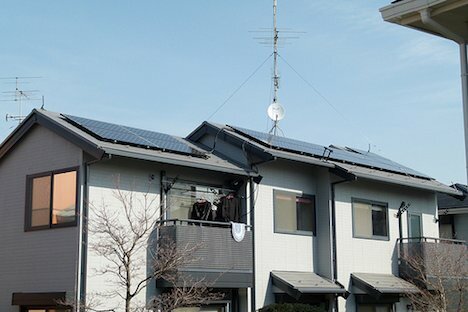 With innovations and breakthroughs, I’m sure building-integrated solar will become important too, as well as some centralized solar power plants. I’m ignoring all other forms of renewable energy for the purposes of this, but they’ll be very important as well. However, I think solar power generation holds the most potential for the world. We’ve written quite a lot about how solar is becoming cheaper and more efficient as the years roll on. Some have projected that solar is on an exponential growth path, so will seem to explode in coming years as it moves up the exponential growth curve. I’m convinced this is the case, despite how the solar industry appears to be going through challenging times at the moment. Those challenges for solar companies are largely because solar panels are becoming less and less expensive. Just wait until solar power reaches grid parity in many parts of the world in coming years; that is, when the price of solar power becomes equal to, or lower than non-renewable sources. We need inexpensive and scalable renewable energy storage. If power is eventually able to be generated on the roofs (and perhaps walls and windows) of almost every building during sunlight hours, we’ll need a cheap and effective way of storing that power. It’s the key sticking-point of being able to run a world on majority renewable energy. If we can store the power locally, and at various points within the power grid, when could share it with each other whenever we want – which brings me to my next point. We need a major upgrade to energy grids. It’s overdue. We need an Internet for electricity. Let’s call it the Enernet. We’ll be able to store power locally and elsewhere, like we do with data today. We’ll be able to use, sell, and share power we generate ourselves. It could be hugely disruptive and powerful, just like the Internet has been, and continues to be today. It could bring forth an era of abundant renewable energy, generated mostly by people, not by centralized power plants and corporations. There are signs that this is already starting to happen today. I’ve written before about how over 50% of renewable energy in Germany is owned by citizens. Let’s see more of that happening around the world! The other major part of energy use in the world, not to mention that it’s used in an astonishing array of products and services, is oil. It’s so ubiquitous in the world today, that we could call this the Oil Age. One day (not soon) it will run out, and there are many other reasons to find a cheap, clean, scalable, and renewable alternative other than that oil is a finite resource. It may be our most difficult challenge, and it probably won’t happen quickly. Various biofuels are being developed. With a population of over 7 billion now, heading to an estimated 9 billion by 2050, using arable land to grow plants for first generation biofuels has not turned out so well. To do that on a scale to replace oil production is unthinkable. There simply wouldn’t be enough food for us all, and it would undoubtedly decrease biodiversity even more. We need to expand forests and have healthy ecosystems, not replace them with crops grown for biofuels. Research and experiments with algae seem to be bearing fruit. Fuels derived from growing algae are starting to have some niche uses, however small. A major sticking-point with any alternative to oil, including algae, is to be able to scale-up production to replace world oil production. Let’s not fool ourselves, the quantities are going to have to be massive. As we’ve mentioned before, one of the key people in the thick of this challenge, Craig Venter, has recently asserted that he thinks a commercially-viable biofuel derived from algae, that could compete with oil, cannot come from nature. It will have to use a fully-synthetic cell. Synthetic biology such as this may be controversial, but as we know from history, that doesn’t mean the science won’t proceed at pace. We can certainly decrease our need for oil with the ongoing development of widespread electric transport, which could well happen more quickly than many people think. It’s starting to happen, but needless to say, there’s a lot of work still to be done. Elon Musk, founder and CEO of all-electric car company Tesla Motors, has recently said he thinks over 50% of all cars manufactured in 20 years will be electric, probably sooner. Mind you, he has a lot riding on that. Those are my current thoughts on energy. So let me know if you think I’ve left anything out or got it all wrong. I’ve certainly left a lot out on purpose, as one blog post is not enough to cover all the key challenges and potential solutions! It might be interesting to take a look at Jeremy Rifkin’s ideas about what he calls the Third Industrial Revolution. He describes – quite like this article – five pillars of a sustainable economy (see image). I like Enernet for a smart energy grid. Thanks, yes, I have read his new book The Third Industrial Revolution about 6 months ago. Very impressive ideas in there indeed. It certainly is a pretty comprehensive plan, including economic aspects, to get us into a fully sustainable era. The way he explains how it could play out over the coming decades makes it seem completely doable. And I understand his plan has largely been acknowledged and endorsed by some countries, such as Germany, which does now seem to be implementing many aspects of it. Great to see that happening.